The Ace Attorney 1 - 6 Premium Edition pack has to be one of the most expensive Nintendo 3DS game bundles ever released, if not the most expensive. 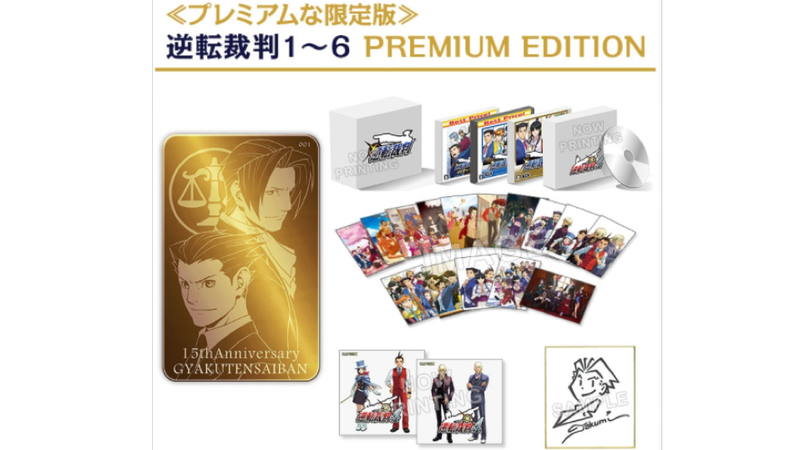 Priced at 150,000 yen ($1,365), the bundle comes with Ace Attorney 1 to Ace Attorney 6, an Ace Attorney 4 mini soundtrack CD, an original box, a set of 15 postcards, a box for those postcards signed by art director Takuro Fuse, a sheet signed by Ace Attorney designer Shu Takumi and a 7 gram pure gold memorial plate. That’s right, it comes with gold. The limited edition bundle is being released on Capcom’s online shop in Japan. Any objections to that?